In Brazil, there are 40 million children who struggle to survive in the streets, children as young as 3 or 4. Without assistance many of these children die from abuse, starvation, and in the large cities even death squads. The appalling statistics from Bahia, Brazil reflect that half the children born in this area will die before their first birthday. This great need led to the compassionate founding of St. Magdalena School, by a small group of Missionary Sisters of Our Lady Of Mercy. Originally a single room hall was built to be used as a school, day care center, and chapel. As many children came to the school begging for food and a chance for an education, it became clear that a larger school was needed. In 1991 the construction of the new school began. The school is now fully functioning with 20 classrooms capable of accommodating 1000 children. The former school building is now a nursery for a hundred infants and toddlers. There, they are cared for and fed 3 meals a day. 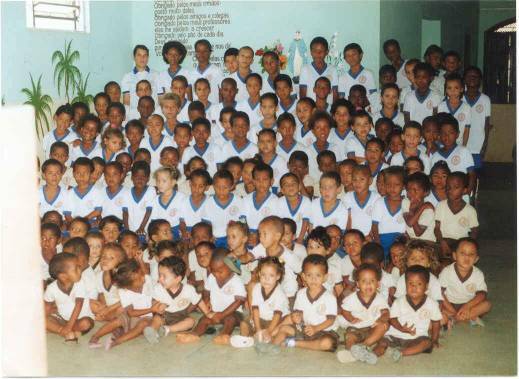 All the children who attend St. Magdalena school are born into poverty, in one of the poorest area of Brazil. Without the opportunity this school provides for them to receive an education and daily meal, many of these children would perish. Through the donations of friends and sponsors, the children are provided with an opportunity to learn basic skills, be fed and receive needed medical aid. A local doctor visits weekly to attend to the children's medical needs. A former seminarian, is working with the troubled teenage boys who have fallen into drugs, and gangs. Through his counsel, many of these boys are now attending school regurlaly. The plight of the street children is still critical in Brazil where there is triple digit inflation and a government that refuses assistance to its poorest most vulnerable citizens. The school has become a life line of hope within this community. Without it many children would perish, and never have a chance to break the cycle of poverty through an education, nor learn of God's love for them. This love is demonstrated through the service of the sisters as a positive ray of hope in a darkened corner of the world. 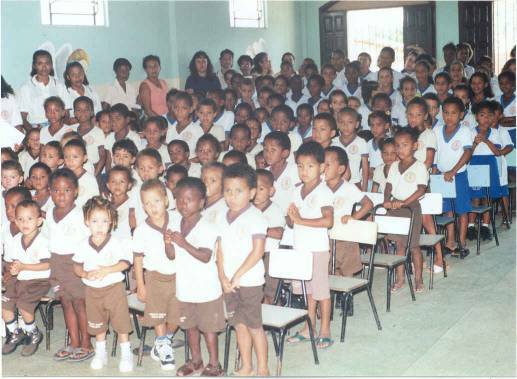 Help us help these children with you donation or sponsorship of a child. For more information, look at the St. Magdalena School web site or email us at: forthechildren@divine-mother.com.